Brilliant and attentive service made. Thank you. 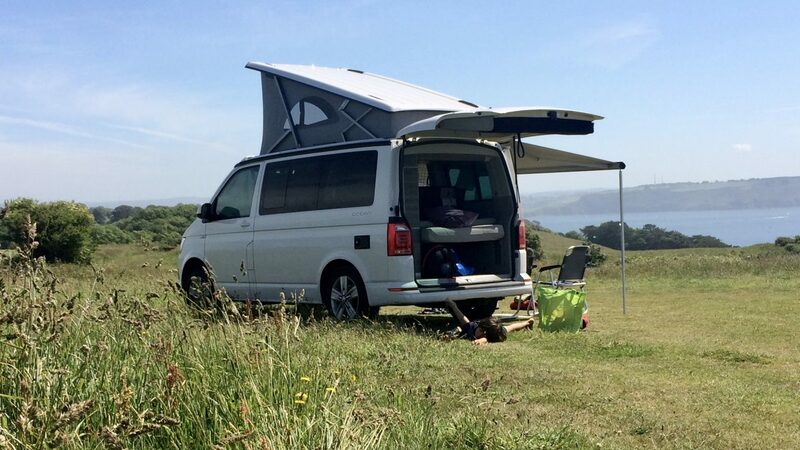 Be the envy of the road in your luxury campervan. VW California Camper Hire from Sun Kissed Campers for your next touring holiday. As a member of the BVRLA we are committed to quality customer service. Our modern comfortable VW campervans are super fuel-efficient and a dream to drive. They are packed with every home comfort, including running water, thermostatic controlled heating and even a bluetooth digital stereo. If that is not enough we have the ultimate upgrades to enhance your trip. 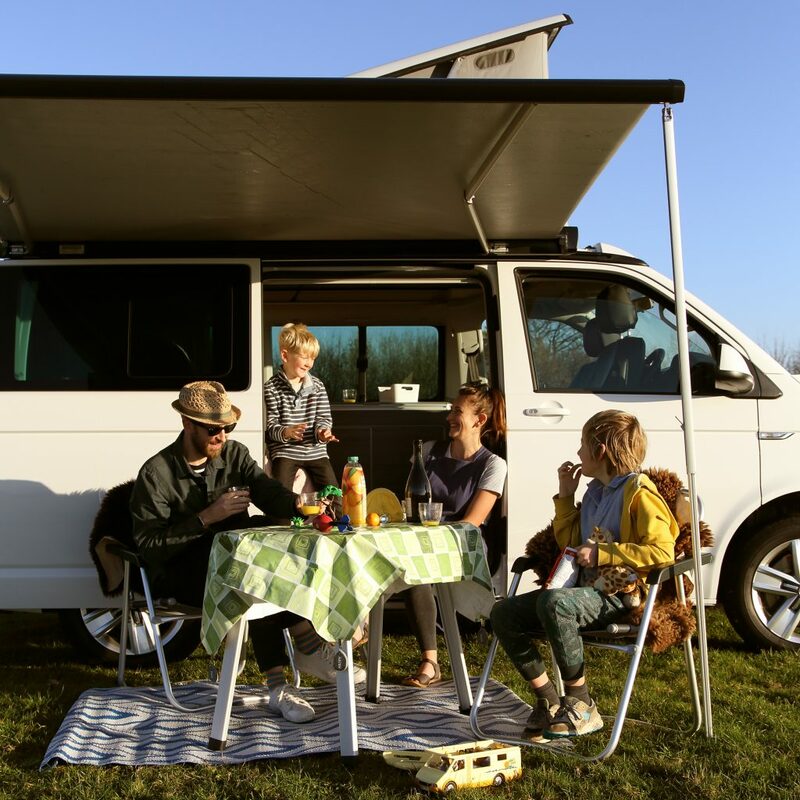 Whether you are a foodie, a family or a glamping queen, we have the perfect ingredients for your dream VW California campervan hire holiday. With our clear and simple pricing structure you will know exactly what you’re paying for. The Fully Automatic DSG VW T6 California Ocean Available Now! Our luxury steps up a gear for 2019. Due to popular demand we have increased the number of Automatic T6 California Oceans to our fleet. The 7-speed dual clutch gearbox DSG gives you fully automatic, almost imperceptible gear changing. Contact us now for booking details and find out what all the fuss is about. Just say the Word. We will have a gorgeous VW California Ocean ready and waiting for you to collect from as early as 9.30am. It’s yours until 4.30pm on your return. We can meet you at Bath Spa Train Station or look after your car at our garage while you are away. Call us now on 01225 330106. We’d love to help you plan your trip. 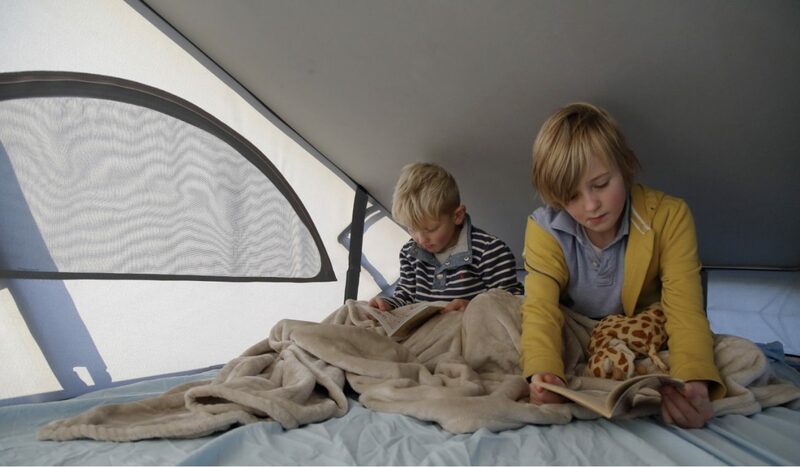 Every one of our campervan rentals offer complete off grid comfort for lovers of the outdoors. They are the perfect balance of luxury and efficiency. Everything you need is included. All you need to think about are your clothes, toiletries and where you want to go. Whether you are planning a special weekend or a European road trip, with one of our campers you will get the best holiday possible. Upgrades inc European Travel, Cycle Rack, Glamping, Hotel Quality Bedding & more.